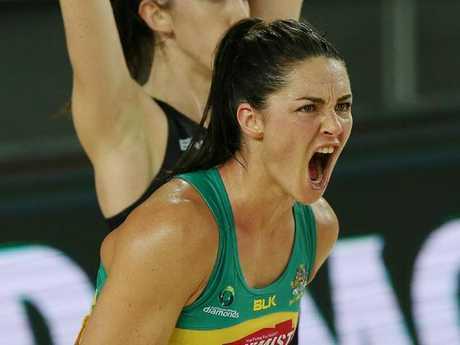 Sharni Layton will call time on her netball career at the end of the season. 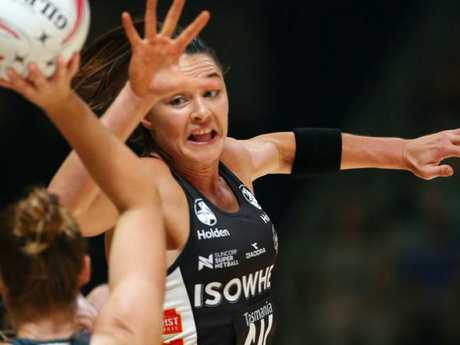 CHAMPION Diamond and Collingwood defender Sharni Layton has announced she will retire from all forms of netball at the end of the 2018 season. 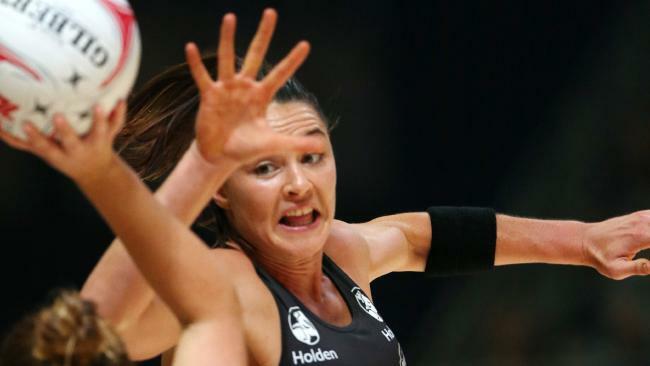 One of netball's highest-profile and most loved players, Layton, 30, made the announcement this morning, with three games still to play in the Super Netball season. "I didn't really know how I would do this, maybe sneak away quietly, but then I was reminded I'm not quiet," Layton said at the announcement this morning. "It's not a shock to myself and my friends and family. "My time off made me realise that I've achieved everything I could have hoped and dreamed of in the Netball world"
"When I took time off last year, it made me realise for the first time, to reflect on my career. "I was always striving for more but last year I sat back and thought 'I'm good'. "It took so much to get me back on the court and I wanted to pay respects to Magpies. But coming back this year I know for sure my time is done. "I'm so grateful and so excited." Layton debuted for Australia in 2009 and won world titles with the Diamonds in 2011 and 2015 as well as Commonwealth Games gold in 2014. As well has 46 international caps she also captained the Diamonds in 2017. "I've been on this incredible ride since 2004. I've moved 12 times over 10 years to pursue this dream of mine, and I owe everything to this sport and all that it's given me over the journey," she added. 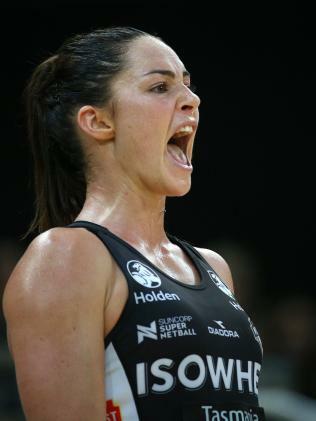 "It's never an easy decision to make, but I have been so lucky to have represented my country; to play in over 100 domestic games, to be a foundation member of the Collingwood netball program, to travel the world and to build and cherish relationships with all of my teammates, coaches, staff and the amazing supporters all around the world. "I've given absolutely everything I have to this game, to my teammates and to myself as an athlete, and it's time to hand the baton over to the next generation of stars." The decision follows a difficult 12 months for Layton after she was forced to take a leave of absence while she dealt with what she referred to as a "mental health injury". "I was in a really bad spot mentally," she said in a video on 24 Sport earlier this year. "And like any other injury, if you do your ankle, strain your hamstring, you can't play at your best. "You need to take time off to get that right. So I took time off to get my head right. I (sought) help. It was really great. "I didn't realise how bad that I was to be honest with you. I still don't really understand it. It's such a hard thing to explain. "I was like a bull at a gate, I was probably trying too much, I probably had too much on my plate, trying to push my sport, trying to play my best netball, trying to do everything. You just can't. "My mind is constantly, you know, on edge, just going, that's a bit of my personality as well. "The amount of injuries I've had have put me out for a good two years of rehabilitation. Paying tribute to Layton, Diamonds head coach Lisa Alexander said she always gave her all when representing the national team. "She had a real presence on the netball court and her opponents knew they were in for a battle until the final whistle," Alexander said. "Sharni took no shortcuts, she worked hard and always put the team first. "She was a winner and led by example. Every play mattered, whether in training or a game. "Her passion and love for netball came through in spades, that enjoyment and attitude rubbed off on the players and coaches and, helped create the bond and the 'sisters in arms' mentally we have developed as a group. "The contribution she has made to the Diamonds and Australian netball has been incredible and, I have no doubt that whatever Sharni puts her mind to post her playing career, she will be successful," Alexander said. 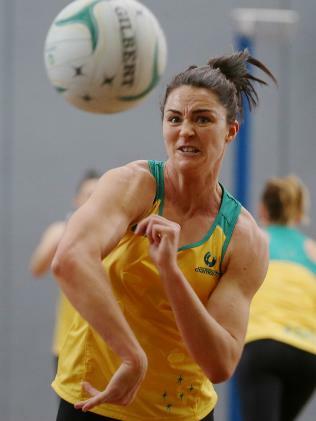 Layton's decision comes a week after a trio of Diamonds veterans also decided it was time to hang up the international bib with Laura Geitz, Susan Pettitt and Madi Robinson all deciding to focus solely on club netball. Pettitt also called time on her club career.